Do you remember when we used to talk about going senile? Have you noticed it doesn’t pop up much anymore? There is a reason for this. Many people believe that as we get older our mental faculties – our memory and thinking skills – start to decline. Even the medical field believed this. The medical diagnosis for this was “Senile Dementia,” and it literally meant mental deterioration that comes with aging. Now though, we know this isn’t really accurate. Although there are some changes in our thinking abilities, usually related to being slower and less efficient, we now know that dementia is not part of healthy aging. Two things give this away. We have identified many of the conditions that cause dementia, and we have identified people, sometimes called super-agers, who don’t show a significant decline as they age. One of the innovative studies that explored this was the “Nun Study” by Dr. David Snowdon. 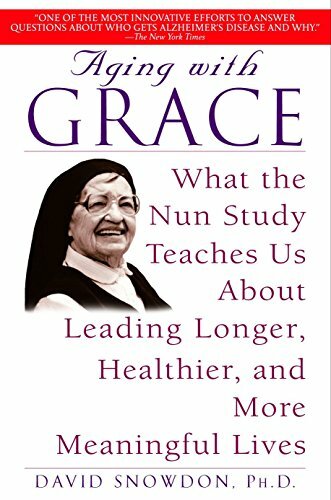 They examined almost 700 elderly nuns over 15 years, including cognitive testing, gene studies, and even information from early in their lives by studying autobiographical essays they wrote in their 20s. If you would like to learn a little more, check out Dr. Snowdon’s book. You can click on the photo to reach it. Nowadays, when doctors use the term dementia, it is meant as a description of a person’s functioning. Dementia describes a person’s current level of thinking and functioning. It is not the cause of that level of functioning, it is simply describing it. It means that a person is showing a significant decline in thinking skills (like memory or language functions) often measured by neuropsychological assessments such as those I conduct (look here to learn more about the testing process), and the deficits are significant enough that they are also causing limitations in a person’s functional skills, their daily life. In a few paragraphs we will talk about causes of dementia, and how these can result in different types of symptoms and challenges. Besides just the label of dementia, we try often try to give more descriptive labels that describe how significant the impairment is. So a person might have early dementia, where they may show a little tendency to get lost when driving or to have trouble remembering to pay bills. Or perhaps moderate dementia, which tends to marked by disorientation to date or address, or difficulty remembering the names of grandchildren. I mentioned in the previous paragraph that there are different causes or types of dementia, but they all tend to be similar in the end. We describe severe dementia as loss of the ability to communicate and requiring complex care. If you are interested in learning more about these labels, look into some of the scales used to classify dementia, like the Global Deterioration Scale or the CDR (Clinical Dementia Rating) check them out here (https://www.dementiacarecentral.com/aboutdementia/facts/stages/). You might have noticed in the graphic above, there is another term I haven’t yet identified, Mild Cognitive Impairment. This term, like dementia, is a description of functioning, rather than a disease. It indicates that a person has obvious new impairment on cognitive tests, but is not yet showing any decline in daily functioning. It is considered a red flag for possible future dementia, so it identifies patients that physicians should monitor. Want to talk about these issues in person? Please feel free to reach out to us at Insightneuropsych.com. One last point on terminology. 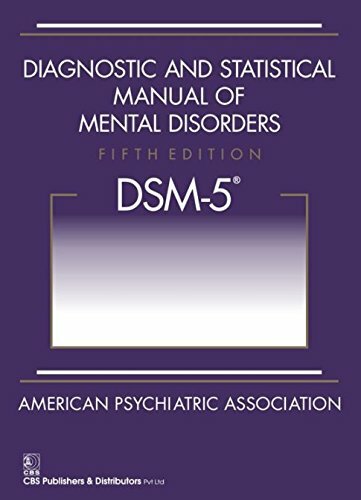 Recently the DSM, which is the diagnostic manual for mental health professionals, put out a new edition that has changed the terminology. Now they the use the terms Major Neurocognitive Disorder, which is equivalent to dementia and Mild Neurocognitive Disorder, which is equivalent to Mild Neurocognitive Disorder. While I prefer to use dementia as it is term that is easily recognized and understood, I do think the change to Mild Neurocognitive Disorder helps, as Mild Cognitive Impairment was just too generic and confused people. This is a common question we get in our practice. People want to know if they are the same, or if it is better to have one or the other. So let’s clarify this by discussing the causes and types of dementia. Alzheimer’s disease is a disease process causing deterioration and death of neurons in the brain. It eventually leads to dementia (though there is some recent evidence that the condition is present long before we realize it…) and is in fact the most common cause of dementia. This tends to be the one that everybody thinks about and is our stereotype of dementia. Alzheimer’s disease is the dementia associated with loss of memory and language skills. It starts in the temporal lobe of the brain, which happens to be the part of the brain very responsible for memory formation and processing of language. While Alzheimer’s disease is a common form of dementia, it is only one of many. Many of us remember the Mad Cow scare back in the 1980s. Well, that disease is a type of dementia, just a very rapid form. It kills within 1 year once the condition develops. It is called a spongiform encephalopathy. Here in the United States it was not quite as much of a scare as it was in Europe, but we do have a similar condition that occurs here in Elk. It is called wasting illness. It can spread to humans through hunting. Unfortunately, the elk that is easy to shoot is sometimes the sick one wandering in circles. Cooking the meat does not remove the pathogen that leads to the brain damage and dementia. 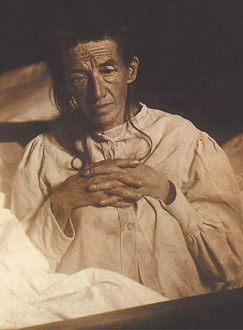 Mad Cow disease is a rare form of dementia and Alzheimer’s disease is a very common form. Other types of dementia you might hear of include vascular dementia, Parkinson’s dementia, and Lewy body dementia, among others. Vascular dementia is related to damage in the blood vessels in the brain. Due to damage to the blood vessels the brain cannot get enough oxygen or energy in the affected areas. Whereas Parkinson’s dementia is related to impaired neurons that stop producing enough of the neurotransmitter dopamine. It initially causes movement problems, but some people will develop cognitive impairment and dementia. Lewy body dementia is one that we are only recently becoming more aware of. In the past it might have just been seen as an atypical Alzheimer’s dementia. Now though it is seen as almost a mix of Alzheimer’s and Parkinson’s features. It is marked especially by variability in cognitive skills, with good and bad periods, and also a tendency to have visual hallucinations. Contemplating dementia can be frightening, but it is important to remember that there are things you can do, both to try and stave it off, but also to help yourself or your loved one if it is present. Feel free to look over the blog archives for ideas on keeping your brain strong, or feel free to reach out to us at Insightneuropsych.com. We are happy to answer questions and we provide comprehensive evaluations to determine if dementia is present and to figure out how to help and support dementia sufferers. At Insight Neuropsychology we provide personalized assessment and treatment services to promote cognitive health and well-being. We help you learn about how your brain is functioning, as INSIGHT is the first step in improving your mental functions. Our neuropsychologists have served Ventura and Santa Barbara Counties since 2003. We have experience working in hospital settings, with universities, and with neurology and other medical specialties. by Christopher P. Young, ESQ and Erik Lande, Ph.D.
Will present the legal and the psychological perspectives of conservatorship. Tuesday March 19th at 11:30 AM. Sponsored by the Camarillo Council on Aging, Dr. Lande will be part of a panel discussing the physical aspects of downsizing and moving to a smaller home, as well as the emotional impact and what resources are available to help coping when making such a transition. Free to the Public, and sponsored by the Camarillo Council on Aging. It can be easy to feel like something is wrong with your brain, or a loved one’s. Perhaps you can’t get your life organized, and a friend tells you to investigate ADHD. Or perhaps you worry that a recent time when you just couldn’t think of a word might have been an early sign of dementia. Perhaps a loved one has had a brain injury, but you are not sure how it is has really affected them. You just know they are not the same. Neuropsychology is the study of how our brain relates to our behavior. As neuropsychologists we study a person’s thinking skills and behavior to determine if there is something to these worries. We explore a person’s strengths and weaknesses to help them gain insight about their brain. The goal is to help protect it, strengthen it, and thrive. You may have seen one of phrenology models before. Unfortunately, it’s not this simple. One of the best ways to learn how your brain is functioning is to see a neuropsychologist. A clinical neuropsychologist is a licensed psychologist who has obtained further training and specialization in brain functioning, allowing us to better understand and treat conditions that involve both the brain and behavior. We conduct testing to determine an individual’s pattern of strengths and weaknesses in attention and concentration, learning and memory, language skills, and judgment and reasoning and other cognitive skills. The tests are noninvasive and mostly verbal or paper and pencil. A subject might be asked to solve puzzles or remember a story. Neuropsychological testing does not involve needles or cause hurt or discomfort. Depending on your condition we may or may not use computer-based tests. Once you finish testing, we compare the results to your peers, other people of your age and education. We call this data norms, or normative data, and it lets us see how your performance relates to everybody else. Yes, your brain slows down a bit as you age, but that doesn’t mean you have dementia. We compare you to other people your age for that reason. This can help us understand how you learn and identify the types of problems that are holding you back. Analysis of your patterns of performance, along with consideration of medical history and life story can help us understand what is occurring, including what your condition is or what might be holding you back. Then we get to the important part. Assessment is just one piece of the process, even if it is the part that everyone thinks about when they think of neuropsychological assessment. Once we assess you, we make recommendations to help you. Good recommendations should be thorough and wide-ranging. We might teach you some new ways of learning or remembering information, or we might suggest breathing techniques that can help overcome test-taking anxiety. We will make recommendations about further education and support for you and family members, and we will discuss how you can adapt your environment to be more efficient and successful. One hint, if you make a place where you always leave your keys or purse, like a bowl on your dresser, you are going to be a lot less likely to lose them. Think an assessment might help you or someone you know, feel free to contact us at insightneuropsych.com today and learn how we can help! 1. Neuropsychological assessment is the best way to measure how your brain’s functioning affects YOU. Although MRIs and other brain scans are important, none examine a person’s actual thinking abilities. 2. Neuropsychological assessment determines what abilities are truly impaired, by using standardized tests to compare your actual performance to your peers. It is also the most systematic method for monitoring a person’s condition over time to determine if treatment changes are needed. 3. Neuropsychological assessment assists diagnosis, by identifying patters of performance that are characteristic of certain conditions. It also detects subtle impairments that can cause later problems as people return to their regular activities. This can help target problems that still need to be worked on. 4. Neuropsychological assessment provides treatment recommendations that are tailored to you to help you be more successful. The goal is to help you improve weaknesses or better compensate for them. When Should Neuropsychological Assessment Be Sought? If you struggle with concentration or memory or it has held you back at times, an assessment may help to clarify the issues and suggest how you can address them. If you notice a change in mental functions (such as memory, reasoning, or attention) in yourself or someone else that is affecting the person’s ability functional skills (like forgetting to pay bills or how to use a cell phone), it is time to seek an evaluation to clarify and confirm the difficulties. It is especially important in the first few months following a brain illness or injury, as treatment is most effective when it occurs soon after the change in functioning. Interested in Learning More, or Want an Assessment? Our psychologists have served Ventura and Santa Barbara Counties since 2003. We have experience working in hospital settings, with school settings from elementary to university, and with neurology and other medical specialties. Our research team has had 4 abstracts accepted at the National Academy of Neuropsychology conference for this October.